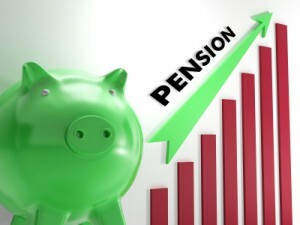 Since pension auto enrolment was first implemented in the UK in October 2012 as a government initiative to ensure workers have sufficient pension savings for their retirement,the process has been gradually rolled out and s now affecting millions of small businesses. So having been in place for quite a few years now the government is seeking to make changes to pension auto enrolment. Whilst large and medium sized companies in the UK have been required to comply with due process otherwise are facing huge fines, the government has become increasingly concerned about the impact of pension auto enrolment on small businesses with their lack of the resources afforded to bigger companies. The government has now pushed back the dates for increasing contributions to April 2018 and 2019 in an effort to stave off a potentially looming crisis of small businesses and pension providers being able to cope. There has been media coverage about concerns of NEST, the only workplace pension without fees being able to manage as probably the main pension provider small businesses will look to due to its affordability. In the next few years millions of small businesses need to comply. The qualifying earnings band for auto enrolment minimum contributions will remain at £10,000 in any pay period from April 2016. The qualifying earnings band for 2016-17 will be £5,824 and £43,000 per annum. The DWP is aiming to simply auto enrolment with some minor changes from April 2016. There will be no need to auto enrol/re enrol company directors and members of limited liability partnerships, a simplified method for an employer bringing forward its staging date and a simplified time scale for employers to notify the pension regulator that they maintain an auto enrolment pension scheme. Consultation on these changes closes in February 2016. One thing is for sure, as with all government legislation, these will not be the last changes to be announced by the government about pension auto enrolment. The Pension Regulator has recently published its findings in relation to small business awareness of pension auto enrolment. Worryingly the research shows that only 29% of small businesses with a staging date in 2016 know when that is. Awareness of the auto enrolment process is highest amongst small employers compared to micro employers. The Pension Regulator is currently trying to raise awareness through TV advertising campaigns, radio and digital advertising and via social media, All employers receive a letter from the Pension Regulator twelve months before their staging date. This should be a clear prompt for that business to start preparing for the statutory process or face a large fine for non compliance. The first task should be to decide what pension scheme to choose and this will take quite a lot of time to do research. For those companies that do not wish to take up a private pension scheme the government has set up NEST which offers low cost compliance. Preparation for auto enrolment is the key to success and failing to prepare will lead to failure and high costs. Other sources of how awareness is being raised are through professional advisors such as accountants, book keepers, pension providers, business groups and, of course, savvy HR consultants. The latter are often best placed to help small businesses with the admin burden of auto enrolment. Information on how to comply with pension auto enrolment is readily available on the Pension Regulator website. Unfortunately whilst many businesses do eventually get to grips with the process it appears that many forget to complete the declaration of compliance. This has to be submitted to the Pension Regulator within five months of the staging date. Small employers on the whole believe that auto enrolment is a good thing compared to many micro employers. According to the research 41% of micro employers fear the cost of contributions, however, they need to ensure they do not coerce employees into opting out as such conduct can incur a hefty fine from the Pension Regulator. 14% of them believe they do not have to do anything to comply with this process – they will obviously have to think again if they have employees. If a micro business does not have any employees and no one in the business has an employment contract, they may not need to comply. However, they should take advice to ensure that this is the case. Any business that is of the opinion that compliance with auto enrolment is not needed should write to the Pension Regulator giving the reasons why and await a written response that will either confirm their assumptions or not. The summer time often means that many employers take on extra staff to meet increased work demands eg fruit farms, holiday parks. Employers will have to consider the impact of seasonal workers and auto enrolment. The first task is to assess the workers and see which category they fall into – eligible worker, non eligible worker or entitled worker. Following on from that the employer must consider whether postponement is more beneficial rather than auto enrolling those staff particularly if the employer knows that the temporary staff will not be needed after three months. the date a staff member first becomes eligible for automatic enrolment. To postpone auto enrolling a member of staff the employer must write to them within six weeks from the date postponement starts. An employer can postpone for a maximum of three months, but it can be for much less than that. An employer can postpone as many or as few staff as is required and the postponement period does not have to be the same length for everyone. Staff who have been postponed can choose to opt in during the postponement period. On the last day of the postponement period, an employer needs to know whether any member of staff whose automatic enrolment who has been postponed is still eligible to be automatically enrolled. If they are, an employer must put them into a pension scheme straight away. An employer can not apply a further period of postponement even if postponement has been for less than three months. Auto enrolment is set to ramp up as the country heads for complete auto enrolment of all employers by 2018. So far only 3% of employers have needed to comply but in the next few years the outstanding 97% will be implicated. There are obviously challenges ahead as resources become stretched both outside and within smaller businesses. In 2015 45,000 employers are set to enrol and in 2016 it will be 45,000 employers per month. So far it seems that medium sized businesses have coped well however some have struggled to find a pension provider that will enrol all of the workforce and some businesses turned down completely by a private pension provider. As with all businesses return on investment is essential and it seems that some pension providers do not think that providing a pension scheme to a small to medium sized business is worthwhile. Others will disagree but may add hefty ongoing annual charges in order to ensure they make a profit. This leaves the smaller business in a difficult situation with the choice of pension schemes available dramatically reduced. Research has shown that medium sized businesses have so far taken less time to prepare for auto enrolment and have had reduced implementation costs than the larger businesses who have had to comply since October 2012. Many small and micro businesses have no experience of implementing a pension and do not have an active scheme in place. Many did not bother offering a stakeholder pension despite the fact that having 5+ employees this was required. Auto enrolment, however, can not be ignored. It seems, that awareness of the process is quite high, but action is required and early planning essential to comply with the staging date and avoid the hefty fines. Demand for help with auto enrolment remains quite high. A high percentage of businesses will turn to their accountant. However, many are not able to offer any support. The IFA industry on the other hand has geared up to provide advice and guidance, but often will charge high fees to implement the process. In 2014 the opt out rate for employees was running at 8% which is relatively low. Research shows that only 5% of younger workers are opting out whilst 28% of older workers are doing so. Affordability seems to be the key with these older workers as well as having an alternative means of saving for their pension. It is thought that overall opt out rates is because of good communication processes offered by the larger employers that have had to comply so far. However the medium and smaller businesses that are now being affected do not have the huge resources available to provide communication processes such as seminars and workshops. Communication about the process is essential so that employees fully understand the implications of auto enrolment and saving for future retirement. The possible lack of communication resources may impact negatively on opt out rates in future, time will tell. There are a range of communication methods that smaller businesses could use including team meetings and newsletters. Ideally one to one meetings is best, but is obviously time consuming and may be difficult timewise. The Pension Regulator has recently published it latest quarterly bulletin which shows that employers are failing to understand their automatic enrolment duties. It seems that the Pension Regulator has found that many employers assume their duties only relate to staff who are eligible to automatically enrol according to age and salary criteria. This is incorrect as staff who have the right to join or opt in must be included in the automatic enrolment process. The Pension Regulator found one employer who was using a master trust and had misunderstood the role of the scheme and had assumed that the scheme would be responsible for calculating contributions and making the correct staff deductions. This is a fundamental error and one that leads to a hefty fine for failing to comply correctly to automatic enrolment regulations and attracts the highest number of fines. Information Notice – The power to demand information and documents under section 72 of the Pensions Act 2004. Employers who don’t understand what their compliance duties fully entail should take advice from an advisor who fully understand what needs to be done. Pension Regulator research has shown that accountants and book keepers have the lowest level of understanding out of all the available intermediaries. When seeking advice and support, an employer should understand exactly what they are getting for their money whether it is just advice or a full automatic enrolment service. Both parties should be clear on the responsibilities for each task in the automatic enrolment process. The clock is ticking for all employers in the UK with pension auto enrolment. The process began in October 2012 with very large companies and from now until 2018 the process affects small businesses. The role of HR with pension auto enrolment can be quite key due to the high administrative requirements. Planning ahead is essential to ensure statutory deadlines are met. The CIPD code of conduct states that HR professionals can not provide on pension schemes, but as HR often has an administrative role to play in most employer businesses the support with pension auto enrolment can be invaluable. An in house HR Manager or external HR consultant with auto enrolment proficiency can help streamline what may seem to be an administrative nightmare. Identifying workers eligibility based on age and salary criteria. Workers aged 22 to retirement age and who, 2015-16 earn £10,600 are deemed to be eligible workers. Non-eligible workers are 16-22 and from state pension age to 75. Entitled workers are those who earn £5824. Provide workers with information about auto enrolment. This will take the form of an appropriately worded letter. Additional ways to provide information can be with presentations, lunch and learn sessions, posters, email communication and face to face consultations. Arrange deductions in pay with effect from the auto enrolment date, unless the process has been brought forward. Contributions are based on qualifying earnings. This is defined as gross earnings and can include bonus, commission, overtime, etc within a band 2015-16 will be set at £5284 and £42,385. Employers must make contributions of at least 1% for eligible and non-eligible workers, but do not have to make contributions to entitled workers. Manage opt outs. It is illegal for an employer to encourage opt out of a pension, and currently 9/10 employees remain auto enrolled, nevertheless some employees may feel they do not want to be in a pension scheme. Workers can not opt out before they are auto enrolled, but need to be able to access an opt out form and understand the process that needs to be followed. If a worker opts out within the one month period HR must inform the scheme, stop payroll deductions and arrange for contributions to be refunded. Keep records which will include opt outs and opt in notices, enrolment and contribution information. Records have to be kept for six years except opt out notices that are kept for four years. The process is continual. HR needs to remain vigilant to ensure that workers that become eligible due to age and salary changes are auto enrolled. Should salary changes tip the balance of a worker becoming eligible for auto enrolment, once auto enrolled they remain in the pension scheme unless they opt out. What Are Your Options For Pension Auto Enrolment? If you are a small business the countdown will have begun from January 2014 for your staging date. It is therefore very important that you begin thinking about the process as soon as possible. Burying your head in the sand will not help and you will face a fine from the Pensions Regulator for ignoring this statutory process with which you must comply. So, what are your options for pension auto enrolment? The first thing to do is decide on your pension provider. There are various options out there depending on your budget. NEST was set up by the government as the default option. It does the job if you just want to comply with the law. There will be lots of work involved and lots of reading to ensure you comply. That is unless you draft in someone who can help. Consultants such as myself who have done the process may be invaluable in steering you through the minefield. If NEST does not appeal you have the NOW pension or the People’s Pension which are low cost alternatives. All three are multi employer pension schemes with a defined contribution – pension pot is built up until retirement. How well the schemes perform is dependent on investment and charges. NEST was set up by government to offer a suitable workplace pension scheme for all employers. Here are some key facts about the NEST scheme. Charges are 0.3% a year + 1.8% on contributions as made. The recommended investment choice is a target date fund corresponding to the date on which you intend to retire, or you can choose from five other funds if you prefer. You can carry on contributing to a NEST pension after leaving your job. self-employed people can also join the NEST pension scheme. There’s a limit on the amount that can be paid in contributions and you can’t transfer savings from other schemes. Both of these restrictions are due to be lifted in April 2017. NOW: Pensions is run by ATP – an organisation originally set up by the Danish government to provide pensions in Denmark. Here are some key facts about the NOW: Pensions scheme. There is no investment choice, as NOW: Pensions has a single investment strategy. You cannot carry on contributing to the scheme after leaving your job. Self-employed people cannot join it. No limit on the amount that can be paid in contributions (apart from HM Revenue and Custom annual allowance). You can transfer savings from other pensions at no charge. The People’s Pension is run by B&CE, a not-for-profit organisation. B&CE has been providing pensions for the construction industry for many years and now does so for all sectors. Here are some key facts about the People’s Pension. A single charge of 0.5% a year. Investment choice – one of three risk-based profiles, or you can choose your own investments from seven funds. You can carry on contributing to the scheme after leaving your job. There’s no limit on the amount that can be paid in contributions (apart from HM Revenue & Customs annual allowance). With regard to charges the People’s Pension comes out best over a period of five years, whereas over a period of 30 years NEST comes out best according to the Money Advisory Service. In addition to these choices there are private pension schemes. Employers must work out the best option for their staff and may do so with the aid of an independent financial adviser with access to a range of pension providers or direct with a chosen private pension scheme provider. Many advisers now give the option of doing all pension enrolment admin for you, but you must ensure that they actually will do what they promise and their efforts are Pension Regulator compliant before you sign on the dotted line. Comments Off on What Are Your Options For Pension Auto Enrolment? In 2015 1.5 small and micro sized businesses must face implementing pension auto enrolment. It seems according to the media that many employers are not ready for pension auto enrolment. A Pension Regulator report shows that half of micro businesses do not even know when they are meant to be compliant. This is despite the wealth of information out in the public domain. Many small businesses have by now been informed by letter when their staging date will be and are given ample notice to comply. A recent article in the Independent newspaper http://www.independent.co.uk/news/business/sme/small-talk-many-employers-face-penalties-over-pensions-autoenrolment-9778756.html states that employers are sleepwalking their way past a legally binding deadline. This year 12,000 small businesses with 62-89 employees should have complied by 1 July 2014 but asked for a three month postponement which they are legally entitled to do. However, apparently many have still not complied and will face a fine by the Pension Regulator. Research done by NOW pensions highlights that many small businesses are approaching advisers very close to their staging date or even after the staging date has passed, which is far too late. Furthermore a survey done by Sage payroll software of IFAs showed that many of their clients don’t see auto enrolment as their top priority and only 1 in 5 businesses are aware of the process. This is despite an extensive government advertising “I am in” campaign using top celebrities such as Theo Paphitis to spread the word. 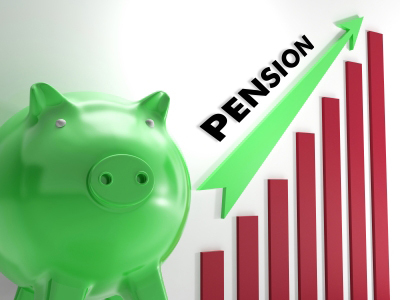 Auto Enrolment is the Government’s flagship legislation to solve the country’s £28 billion pension black hole. It began in October 2012 initially with very large companies some of whom have struggled despite the resources available to help them comply such as Finance Directors and HR departments. No matter what employers and small businesses think about the process they must put a workplace pension in place or be at risk of huge fines. Unfortunately many do not have the know how, resources or time therefore early intervention is key to falling foul of the Pension Regulator. The Pension Regulator is policing the system. Once a pension scheme is in place and auto enrolment has been undertaken an employer must confirm via a compliance tick list and submit that to the Pension Regulator within five months. If companies fail to implement the auto enrolment process they will be tracked down and dealt with very harshly. Small businesses with the many costs they face, can ill afford to shell out unnecessarily. The Pension Regulator recommends starting the process 12 months before the staging date and this is very good advice. There is a lot of work to do – finding a provider whether that is for a private pension or NEST the government run scheme, setting up administrative processes and consulting with employees. My experience is that many small businesses and employers are burying their heads in the sand, but it is the elephant in the room and will not go away. Employers who are looking for a simple cost effective pension scheme in order to comply with pension auto enrolment may like to consider implementing the NEST pension which has been developed by the government. NEST is ideal for small and medium sized businesses and helps employers comply with pension auto enrolment statutory legislation. Employers may plan to implement NEST in accordance with their staging date or may bring their staging date forward as a volunteer employer. It is important to first know when the staging date is before making a decision. The first stage of implementing a NEST pension is to contact NEST (http://www.nestpensions.org.uk) and register to obtain an account. It is important to finalise set up within 90 days of the first contact otherwise the whole process must begin again. NEST should be provided with information about organisation – PAYE reference and contact information. There should be a main contact in the organisation but additional delegates can be given access. Worker groups and payment sources must then be added. The workforce must be assessed according to age, salary and status. They should fall into three separate categories – eligible job holders, non-eligible job holders and entitled workers. An employer must make pension contributions for eligible and non-eligible job holders but does not have to for entitled workers. If implementing NEST and bringing the pension auto enrolment staging date forward employees should be written to at least one month before the proposed staging date. Details on the NEST pension should be provided and as part of the pension auto enrolment process eligible workers should be offered the ability to opt out. They have one month in which to opt out. Any pension contributions that have been taken must then be refunded. A consultation meeting should be offered so employees can discuss any concerns and queries about the process. If an employer is voluntarily entering NEST they must get signed agreement from the employees to make deductions. It is important to get NEST permission to auto enrol early. This can be done by contacting NEST and completing a form over the phone which goes to the compliance department. It is important to do this in good time in order to prevent any delays in meeting the planned earlier staging date. If bringing the staging date forward the Pension Regulator must be informed in writing. This can be done online using a 10 digit reference code that the employer will need to obtain or may done by letter or email. This should be done in good time and at least a month before the earlier staging date. Employer PAYE scheme reference(s) eg 123/4AB (you can find this on your P35 employer annual return). Please include all PAYE scheme references that you operate. The new (earlier) staging date chosen and your original staging date. Employer’s address (including postcode) and email address. The name of the owner or most senior accountable person at the employer (optional). Companies House registration number or equivalent, eg registered charity number, VAT registration number or industrial provident society number. A declaration from the employer that they have contacted a pension scheme and have obtained the agreement of the trustees or managers, provider, or administrator, that the scheme can be used to comply with the employer duties from the new (earlier) staging date. Your job title within your organisation. Your contact telephone number, email address and business address. Your own declaration that you are authorised to apply for a change of staging date. Employee information should be provided to NEST. This can be done manually or via a CSV file upload. Employees will then be sent a welcome pack from NEST which will contain their ID number. Payroll should be set up for employer and employee contributions and NEST should then be provided with an employer/employee contribution schedule. Employers should make contributions to NEST no later than the 22nd of the month after contributions have been taken. It’s important to allow plenty of time in planning and implementing the process. From experience this is a very heavily admin based procedure and there may be hiccups along the way. Call 0845 241 1868 if you need assistance with implementing the NEST pension.